I really needed to handle my sunglass problem/addiction in my house. Florida life problems. I saw some cute stuff on Pinterest but I didn’t want to have to go out and buy anything to complete a project. So I grabbed some twine that I had lying around, 2 clear pushpins and pinned it to the dang wall to hang them from. 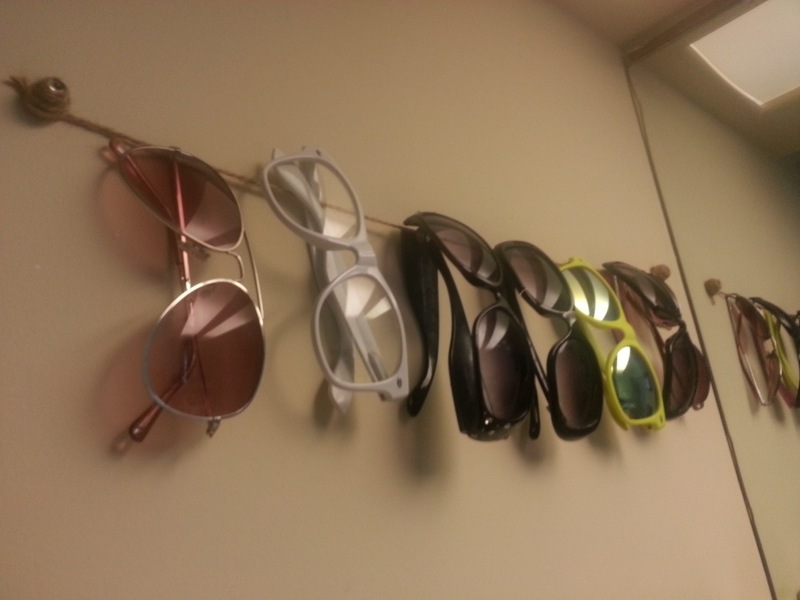 A less than 2 minute project and all of my shades have a home (and are less likely to get scratched, destroyed or sat on). It’s not the fanciest, but I don’t have a fancy bathroom. I might add a few rhinestones to the push pins later in life but for now….. Handled!